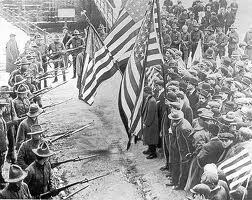 At the beginning of 1912, immigrant workers in Lawrence, Massachusetts, joined together for a successful strike at the city’s textile mills. In labor legends, this action is remembered as “the bread and roses strike.” Twenty-five different languages were spoken among the workers. Many of the leaders were immigrant women. Religious groups were divided in their responses to the Lawrence strike, but the Unitarian church in Lawrence joined with other religious organizations in providing early support. 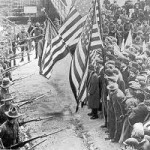 President William Taft, who was a Unitarian, expressed sympathy for the strikers and Mrs. Taft was involved in social services that assisted the workers’ families. This year, the Unitarian Universalist Fellowship of Falmouth, Massachusetts, held its first “Bread and Roses Sunday.” Different breads and pastries were prepared or purchased, to represent the different ethnic groups that were involved in the Lawrence strike of 1912. Many of the same groups were represented on the “Titanic.” The list of breads for “Bread and Roses Sunday” included pita bread, tortillas, pumpernickel bread, Scandinavian breads, Italian bread, and Irish soda bread. Matzos were shared to honor Jewish workers and to anticipate the Passover season in April. Roses were displayed with the food items and at the front of the sanctuary during the worship service. The congregation sang two hymns from Singing the Living Tradition to remember the events of 1912. Hymn 109, “As We Come Marching, Marching,” is the bread and roses song that women factory workers sang during the early 1900s. 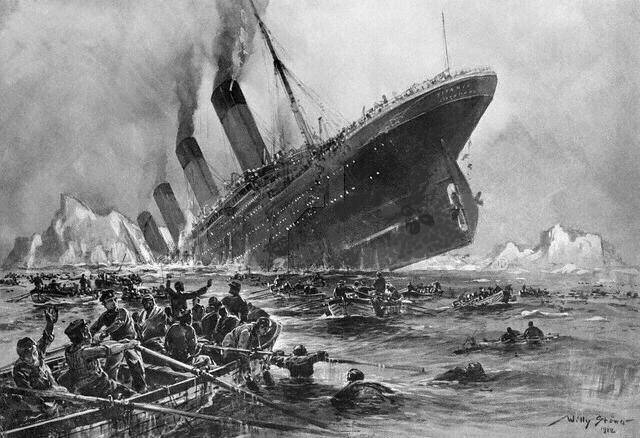 According to legend, “Nearer My God to Thee,” an English Unitarian hymn by Sarah Flower Adams that appears as Hymn 87, was the last song played by the ship’s orchestra on the “Titanic.” Most of the ship’s musicians died in the ocean waters. The Falmouth fellowship has been studying the history of Unitarian Universalist involvement with immigrant groups. Visits to historic sites in the cities of Lawrence and Lowell have been scheduled. Members of the Falmouth fellowship will also visit the museum at the Woods Hole Oceanographic Institute to learn about underwater exploration and shipwreck recovery. It is interesting to note that Thomas Andrews, the ship’s designer, was a prominent Unitarian in Northern Ireland during the early 1900s. Mr. Andrews was among those who died on the ship on April 15, 1912. Rev. 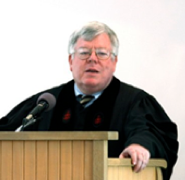 Robert Francis Murphy, minister for the Unitarian Universalist Fellowship of Falmouth, is active in economic and environmental justice work. A report on his ministry appears in the Winter issue of the UU World. In fact the designer of the Titanic, the ship builders and the captain were all members of the Non-Subscribing Presbyterian Church in Northern Ireland, our sister denomination.